It seems that the terms related to ADHD are often thrown around without a lot of knowledge about the disorder, including the symptoms, the social impacts and the relationships with others. Outside of the Box Therapy would like to answer some of those questions about the disorder through a series of workshops. Attend one, or attend all!! Participation is limited to the first 15 participants – call to reserve your spot today! October 14: What is ADHD? How is it diagnosed? 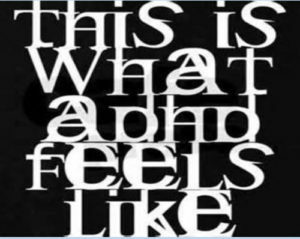 November 11: Parenting an ADHD child- How is it different? December 9: Help!! I am living with a partner who has ADHD!!! All workshops held on Friday nights starting at 7:00pm. Very knowledgeable. Learned the difference between male and female ADHD. It is our belief that each person can work to overcome obstacles in their life that are holding them back. We help people build new and expanded lives for themselves. Whether you are seeking family therapy, couples counseling or individual therapy, we can provide you with guidance and support. We do not believe that there is one kind of counseling and psychotherapy that works for everyone and so we work with you to tailor the treatment to meet your unique needs. Coming in for an appointment? Download your intake forms to fill out prior to your visit. Copyright © 2019 · Outside of the Box Therapy · All Rights Reserved. Site designed and maintained by Pixel & Paper Designs.